Two boys play on a bridge over a canal by the sea front. Waste from city inhabitants and industry is dumped into the river system every day. 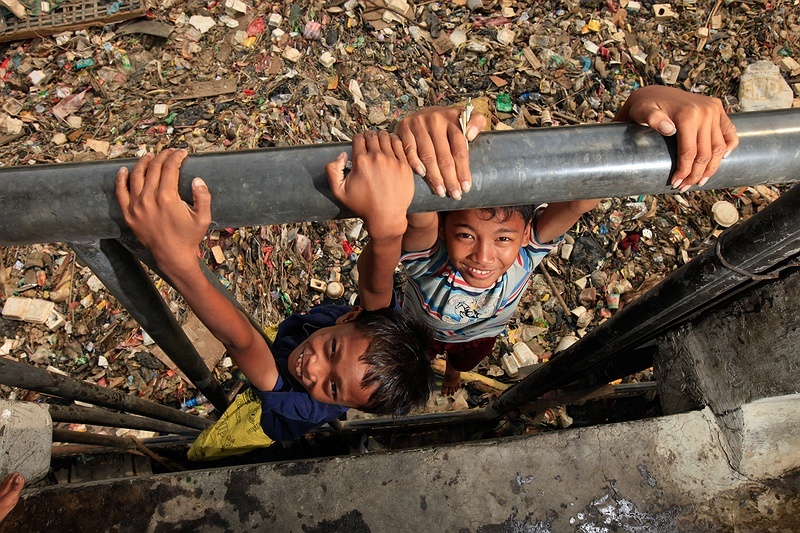 Hazardous substances to flow freely in the water where these children play and garbage blocks important drainage systems.